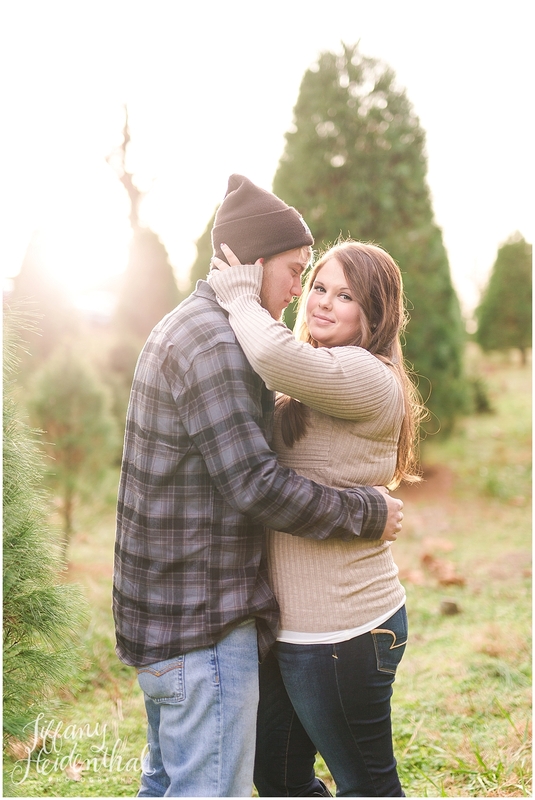 Chelsea contacted me back when it was still hot outside about a wintry, Christmas-y photo shoot. 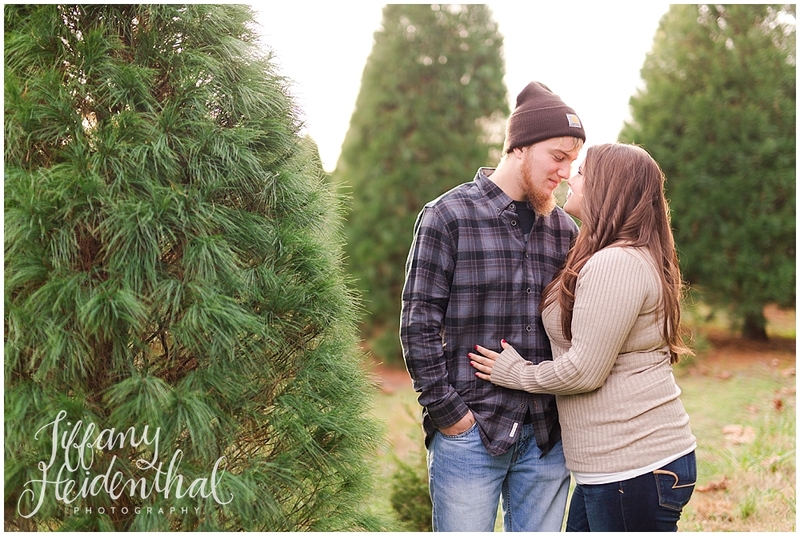 There's basically nothing I love more than combining Christmas with a sweet couple's session, so I was totally jazzed. 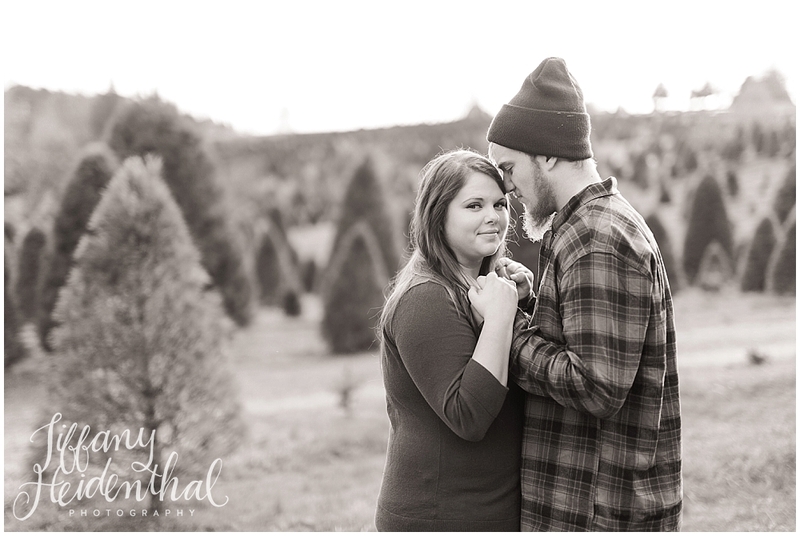 Unfortunately, I haven't been able to find a Christmas tree farm in Richmond that I really loved, so I asked Chelsea to do a little research to find us a good one. And man, did she! 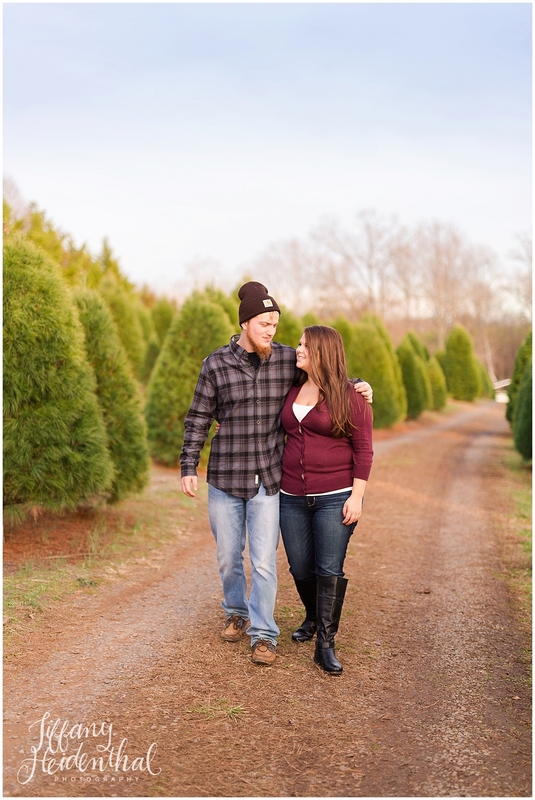 She found Belmont Christmas Tree Farm, which is technically in Spotsylvania, right near Lake Anna. 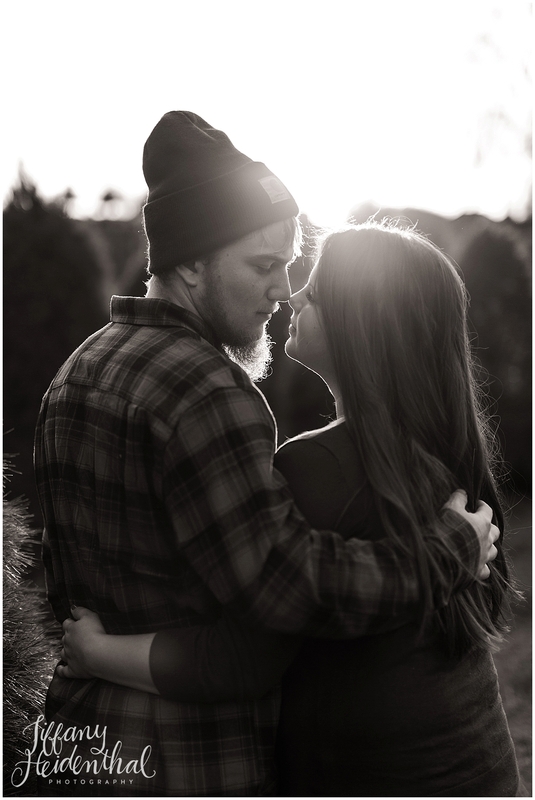 It was absolutely perfect. There were rows and rows of green trees and hills and all sorts of gorgeousness. 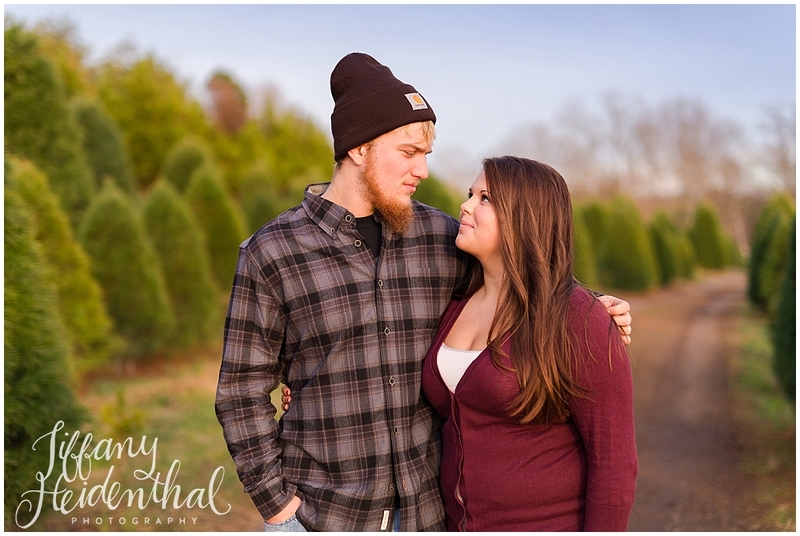 Chelsea also warned me that her boyfriend, Austin, was not a fan of picture taking! I told her the same thing I tell everyone who tells me that (and believe me, there are a lot of people who say such things!)... it's rare that people ENJOY or look forward to having their pictures taken. I know that when friends and family take my picture, it often goes something like this: "Smile! Actually, scoot closer together... okay, smile! ... Just hold it... Oh shoot, the flash didn't go off..." That is often the case with automatic cameras. Lots of waiting, lots of unpredictability, and by the time your well-intended photographer takes the picture, the moment is gone, the smiles are fake, and you're just frustrated with the experience. I definitely understand all that! Erik always claims to hate having his photo taken, but if I do it quickly and painlessly, it doesn't bother him. In fact, when I told him I wanted to have portraits taken in Scotland this year, at first he hated the idea. Why waste vacation time taking pictures together? 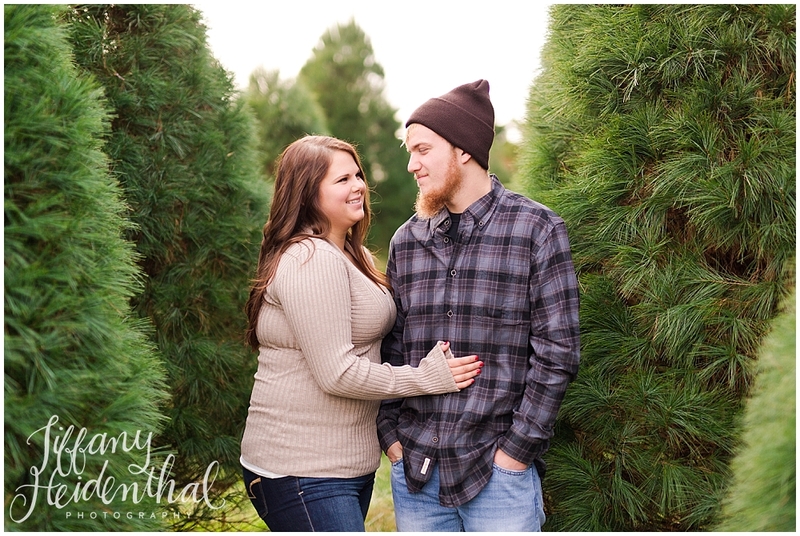 And now he loves those photos and is grateful that we did them. Sometimes you only appreciate how wonderful it is to have photos after the fact, when you're just enjoying them.